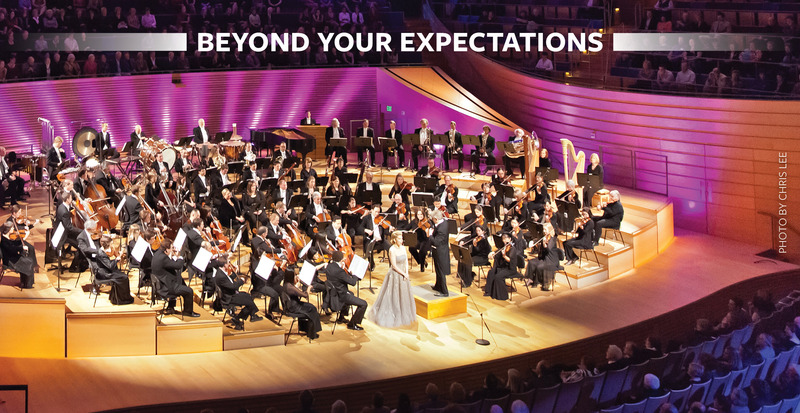 From iconic stars to timeless music, there’s never been a better time to be a season subscriber to the Kansas City Symphony. Subscribe today for access to the best seats at the best prices. The season begins in September and runs through June 2018. Fourteen concert weekends: 8 p.m. Fridays and Saturdays; or 2 p.m. Sundays. Purchase Bravo Series (7 concerts), Ovation Series (7 concerts) or Masterwork Series (all 14 concerts). Led by Music Director Michael Stern or guest conductors. Four concert weekends: 8 p.m. Fridays or Saturdays. Led by David T. Beals III Associate Conductor Jason Seber. Four concert weekends: 2 p.m. Sundays. Perfect for children ages 4-13. Includes full-length version of the Symphony’s Christmas Festival. Each child subscription is only $10 with the purchase of an adult subscription. Subscribers have the option to add on these holiday and specials concerts when purchasing a 2017-18 subscriptions. *Single tickets to some concerts on sale now. *Indicates single tickets on sale now. The Symphony will announce other 2017-18 concerts and events, such as Classics Uncorked Series and the FREE Happy Hour Series concerts in July. Single tickets on sale Monday, July 24 at 10 a.m.
To learn more about becoming a Kansas City Symphony subscriber or to purchase single tickets to select concerts now, visit kcsymphony.org or call the Symphony Box Office at (816) 471-0400. Dorothy Papdakos is known for her silent film programs. 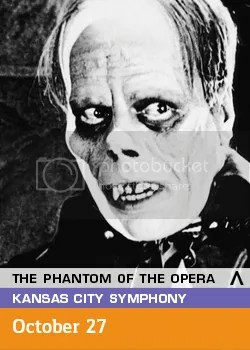 The Kansas City Symphony is presenting the 1929 silent film classic “Phantom of the Opera” starring Lon Chaney. 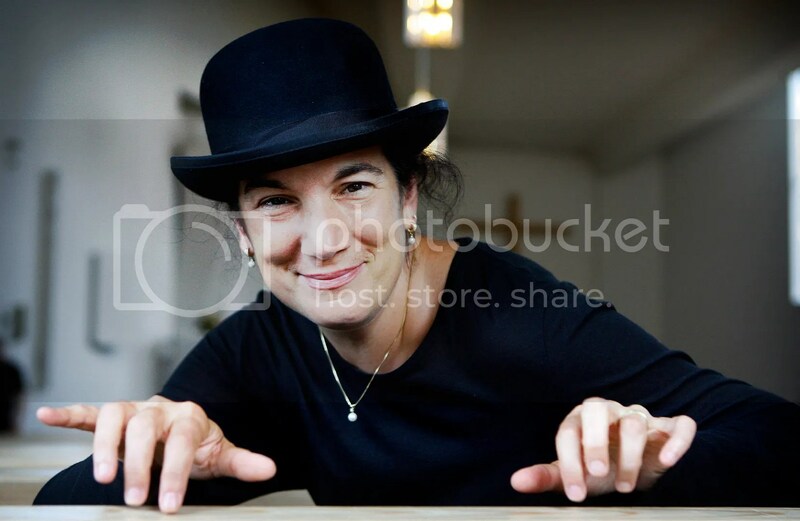 Papadakos will improvise at the console of the Julia Irene Kauffman Casavant Organ on Thursday, Oct. 27 at 7 p.m. while the film is shown giant screen in Helzberg Hall at the Kauffman Center for the Performing Arts. Tickets from $25. Select your seat here or call the Box Office at (816) 471-0400. Tell us about yourself. When did you start performing the organ for silent film classics? I learned how to improvise for silent films while I was Cathedral Organist at NYC’s Cathedral of St. John the Divine from the legendary theater organist Lee Erwin who played silent films there every Halloween. I sat up at the organ watching him, taking it all in at the master’s feet. By then, Lee was in his 90s! One year he didn’t feel well and at the last minute they threw me on! I had two days to compose musical cues for a double feature of “Phantom of the Opera” in front of 3,500 people. I was terrified — my improvisations were “liturgical,” and I’d never improvised in the harmonic language of a silent film. But I dove in … Lee coached me over the phone on how to write good musical cues for my characters … 30 minutes into the first performance something inside me broke free, and I’d never felt freer in my improvising or at the organ. It’s an incredible feeling I still get in every silent film performance. Each show is utterly new and different. I never get bored! How do you prepare? Do you watch the film many times? Improv is best when it’s fresh and I’m on the edge of my seat, so I rarely preview a film once I’ve learned it. When we do screen check, I get to see some scenes, but I prefer seeing it fresh each time. I do study the scene breakdown and cue sheet on the plane flying to a gig, but my biggest preparation is registering a venue’s organ — choosing sound combinations to match the scenes and setting my pistons (the organ’s computer memory). How does the Julia Irene Kauffman Casavant Organ compare to other organs you play? What is the process for becoming acquainted with an instrument when you travel? Helzberg Hall’s magnificent 5,548 pipe Julia Irene Kauffman Casavant Organ is a genuine masterpiece! I LOVE playing this instrument because it goes wherever I need it to musically in any moment of a film — from loud and spooky to sparkling and charming — it has lots of what we organists call “toys and heavy artillery” on board! Getting acquainted occurs over hours of listening to each stop and combining sounds. Every film is different, so each year the sound combinations are different. What part of “Phantom of the Opera” is your favorite and why? I love the scenes where Carlotta brings down the chandelier, when the Phantom takes Christine on his gondola into his lair, the Masked Ball and when the inspector and Raoul search for Christine in the dungeons under the Opera House and get trapped. Universal’s 1929 re-issue of the 1925 original feature was brilliantly edited by the film’s star, Lon Chaney, down to 92 minutes and the action never stops. These scenes in particular are emotionally charged and the audience and I are right in there with the characters. I think this is why this film is so popular — together we all go on an exciting emotional ride of humor, suspense and romance with a profound subtext about “the outsider cast from society” are what makes this film so enduring and such a satisfying experience. Since this film is presenting near Halloween, do you have any Halloween traditions? What do you find spooky? My annual Halloween Horror Tour has become my Halloween tradition! In fact, I’ve become a Halloween tradition in many places … Dorothy coming to town with her costumes and creepy friends Nosferatu, the Phantom, Quasimodo, Dr. Jekyll & Mr Hyde. For me, spooky is a delayed or cancelled flight on tour! I love graveyards, full moons and pumpkins … though I’m pretty sure I never want to run into Nosferatu. THAT’S scaaaary. What do you like to do in your spare time? This Christmas my new Young Adult (11-14) sci-fi adventure book “The Kingdom of Winter” is being released! It’s book No. 1 of the “Kingdoms of the Seasons” quartet, and it’s already getting lots of great attention. It’s nature’s four seasons like you’ve never experienced them! Also in development, I have a terrific new TV drama series, “The Golden Door,” about Ellis Island’s incredible team who managed the largest migration in human history of 12 million immigrants. And, on top of it all, my fun musical “Bacchus” is also in development! If you have any free moments while visiting Kansas City, is there anything particular you plan to do outside of the concert hall? I have dear friends who live in the area, and we always get together for a lovely meal. I love Kansas City’s jazz history since jazz is how I learned to play the piano and improvise. Maybe I can catch a set somewhere! After KC, where are you headed next? What are other highlights for your 16/17 season? From here I go to St. John’s Cathedral in Denver to play “Nosferatu,” then to Grace Cathedral in San Francisco for a double feature of “Nosferatu” (two in one night!). Both venues have spectacular, huge organs and acoustics, much like Helzberg Hall, so I feel very lucky to get to perform in all these wondrous buildings. Two really special treats coming up for me are performing “Phantom of the Opera” in Singapore in 2017 and a tour of “Phantom of the Opera” in Japan (TBD), which means translating the film for the first time ever into Japanese! Won’t that be cool to see! Thank you so much for this wonderful opportunity to perform “Phantom of the Opera” in Helzberg Hall! I can’t wait to be with you all again and see your costumes — as I discovered the last two seasons with “Nosferatu” and “Dr. Jekyll and Mr. Hyde,” Kansas City loves their horror movies and ROCKS! Don’t miss “Phantom of the Opera” with Dorothy Papadakos at the console of the Julia Irene Kauffman Casavant Organ on Thursday, Oct. 27 at 7 p.m. while the film is shown giant screen in Helzberg Hall at the Kauffman Center for the Performing Arts. Tickets from $25. Select your seat here or call the Box Office at (816) 471-0400. Box Office Hours: Monday - Friday, 10 a.m. - 5 p.m.
Kansas City Symphony. 2015. All rights reserved.